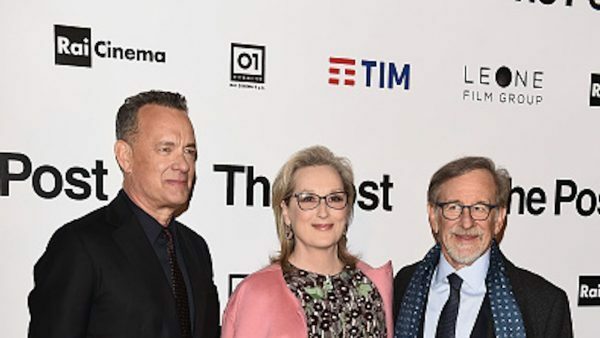 Lebanon’s censorship authorities have effectively banned Steven Spielberg’s newspaper drama, “The Post,” because the American director is on a regional blacklist for supporting Israel. The directive by the country’s General Security agency still needs to be signed by Interior Minister Nouhad Machnouk to enter into effect, but that is considered a formality that is unlikely to stop the ban. General Security, which is also charged with running Lebanon’s only commercial airport, detained acclaimed Lebanese director Ziad Doueiri as he arrived last year to promote his latest film, “The Insult.” The drama is Lebanon’s entry to the Foreign-Language awards category at this year’s Oscars. Doueiri was questioned on charges of doing business with Israel. His previous film, “The Attack,” was banned in Lebanon and most Arab countries because it was filmed in Israel and featured several Israeli actors. All charges were dropped against him after news of his detention caused a scandal in the national media. Also last year, Lebanese authorities banned “Wonder Woman” hours before it was due to premiere, following a campaign against its lead actress, Gal Gadot, who served in the Israeli army. But General Security and its censorship bureau have been inconsistent in their application of a cultural boycott. 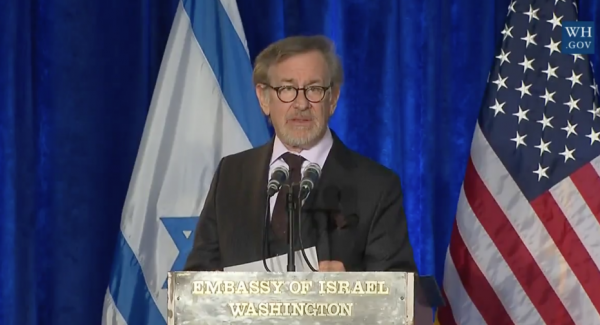 Several previous Spielberg films have played in Lebanon, including “The Adventures of Tintin,” ”The BFG,” and “Bridge of Spies.” And the ban against “The Post” and “Jungle” is unlikely to prevent Lebanese from watching them through streaming websites or on bootleg DVDs. Lebanese cinemas were already showing “Jungle” when they were advised to pull it, said Isaac Fahed, the Sales & Distribution Manager at Grand Cinemas, a Middle East cinema chain. You mean Syria and Iran ban Lebanon from these actions.